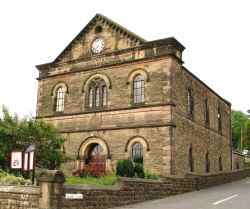 Under the General Data Protection Regulation (GDPR) – Implemented 25th May 2018, Crich Baptist Church is required to keep the personal information related to our members and other friends who may attend our meetings, or who have regular direct contact with the church, in a safe and appropriate manner. Such personal information is for the purpose of being able to contact each other, to facilitate pastoral support and enable our Treasurer to organise the financial support of the church. A database, comprising the name and address, together with the telephone and e-mail details of members and other interested friends who may be in regular contact with the church will be maintained by our Data Controller. This database will be password protected, and maintained by our Pastor, who will act as our Data Controller. From time-to-time, a printed Church Directory will be produced. This Church Directory will contain the contact details of church members, as well as other friends in regular contact with the church. The only contact details appearing on this printed Church Directory will be of those members and friends who have indicated their willingness for their information to be made available in hard copy, by them signing a data protection form. In relation to our work with young people, the Pastor will also hold, separately, the application details for the Disclosure and Barring Service (DBS), such information will also be password protected. Apart from coordinating the financial affairs of the church, our Treasurer holds details of the Pastor’s tax code and National Insurance number, to enable him to pay the Pastor his monthly salary and to make the required tax returns to HMRC. This information is password protected and only accessed by the Treasurer. The Treasurer also maintains a record of personal gifts and donations which qualify for relief under the Gift Aid scheme. Once a year he will summarise such gifts and submit a Return to HMRC, claiming the relief specified under the scheme. This information is password protected and only accessed by the Treasurer. A number of members make payment directly into the church bank account. The bank account is naturally password protected and accessed only by the Treasurer, or when necessary by the Assistant Treasurer, a named signatory on the account. We do not pass private information to persons or organisations outside any named above. Nor do we allow any information we hold to be used for advertising purposes. We treat all such privileged private information with care and seriousness. If you are a church member of Crich Baptist Church or a friend of the church whose contact details are listed in our Church Directory, then you have a legal right to see the information that we are holding concerning yourself, or to ask for it to be removed at any time.